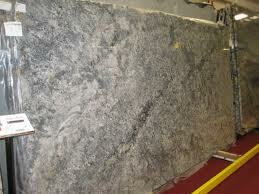 The first step in purchasing new stone products is formulating a quote. Superior offers free in home sales quotes, where a sales associate will meet with you, develop detailed measurements of your project and formulate an accurate quote. This method ensures that Superior customers receive the most accurate quote possible and reduces the need for re-quoting after the project has started. After the quote is received and approved, the customer meets with a sales associate to choose a stone for their kitchen. Customers can either visit Superior to view in stock material, or make an appointment to view complete inventory at a Superior certified supplier. Superior customers have the option of taking home samples to experience the stone in their home before making a final decision. to our showroom to lay the template out on their slabs. 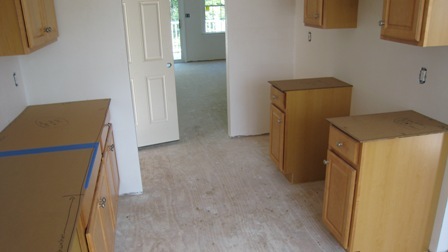 This is an opportunity for the customer to see exactly what their countertops will look like before they are actually cut. With the guidance of a Superior representative, customers can choose which parts of the slab to make a focal point in their kitchen. Once the template has been laid out on the slab, the countertops are fabricated by our master craftsmen. The counters are initially cut on our state of the art Park Industries bridge saw and then the finishing details are added by hand. etc. are made. Customers take an active role in the template process, as decisions on overhangs and overall countertop design are made. Installation of stone countertops in an average size kitchen can take anywhere from four - eight hours. Our install team is comprised of talented and dedicated individuals who are artists in their craft. They bring with them many years of experience in the stone industry and the knowledge to install your countertops with precision and confidence. Please have all of your appliances on site so we can attach them. cover or move any important items that may be affected by dust. doors and windows for ventilation. installation. Engineered Stone countertops do not require any sealing. the supporting structure and tops. Superior will disconnect utilities prior to install. However, due to insurance regulations we are not legally able to reconnect any plumbing or appliances. Please arrange for a plumber to reconnect appliances after installation. Please allow a minimum of twelve hours for the granite to set before reconnecting any utilities or appliances.